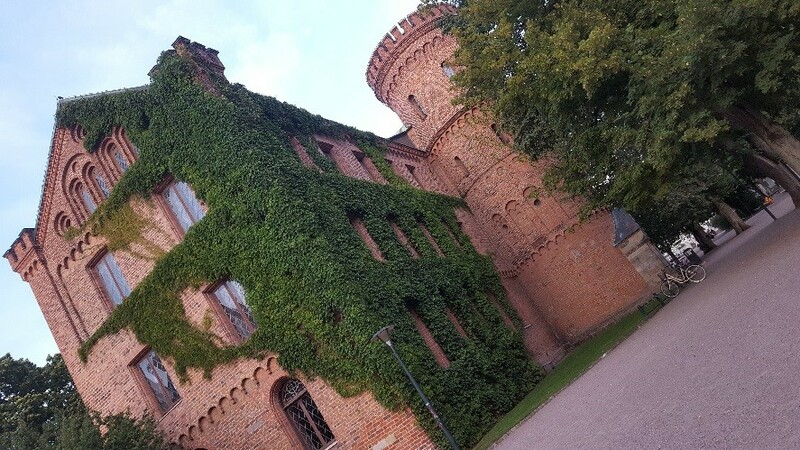 At the end of Summer, Jo Garrett and I visited our BlueHealth virtual reality colleagues at Lund University in Sweden for a productive week of VR activities. 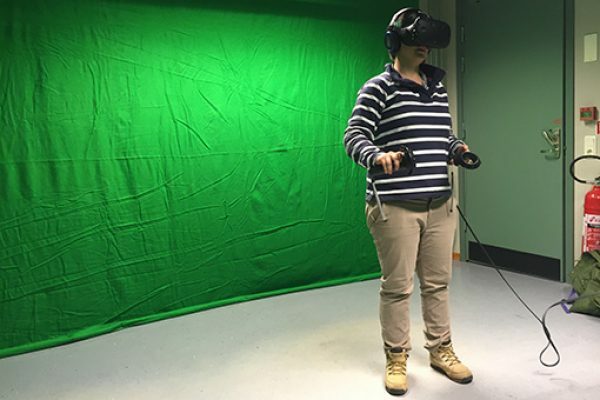 On the first day we attended the Usability Lab where VR can be developed, tested and used in research experiments. 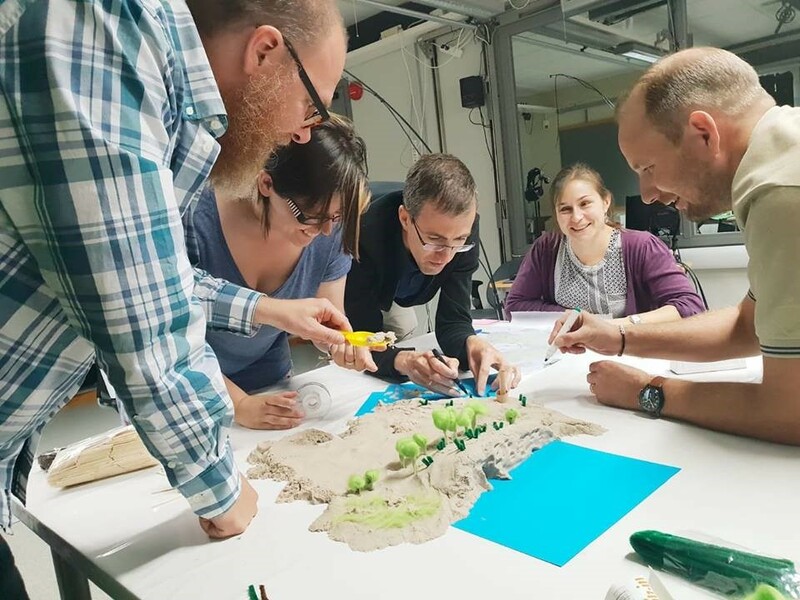 Here, Rikard Lundstedt ran a ‘Future Workshop’ – a method of working together in a group to critically analyse a system, develop potential solutions, and visualise them using 2D and 3D modelling techniques. 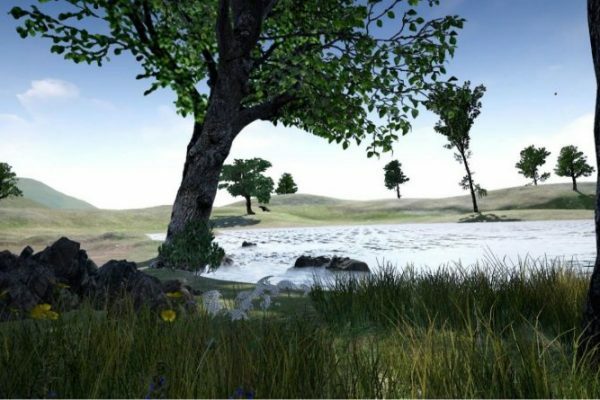 We first immersed ourselves in the computer generated VR nature environment designed by Rikard – a small, uninhabited island. We were then each tasked to think of 4 key things that could be improved, taking into account our studies’ target population (older people) and theoretical perspectives underpinning nature, such as space, place and wellbeing relationships. An example of a 2D model. 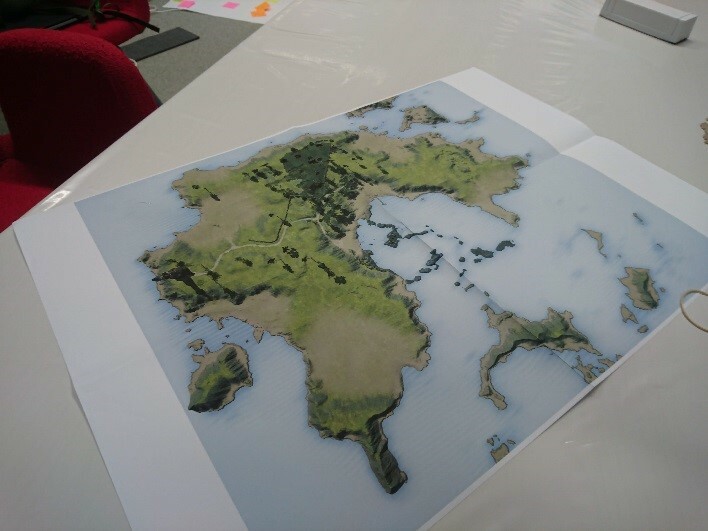 The aspects discussed ranged from the design, layout and features on the island. A key discussion was around signs of human activity and how much these should feature. Talking about the categories enabled us to identify key areas to focus on – it was time to get modelling! Guided by Peeter Vassiljev’s architectural expertise, we first developed 2D models, working on adding more signs of human activity. 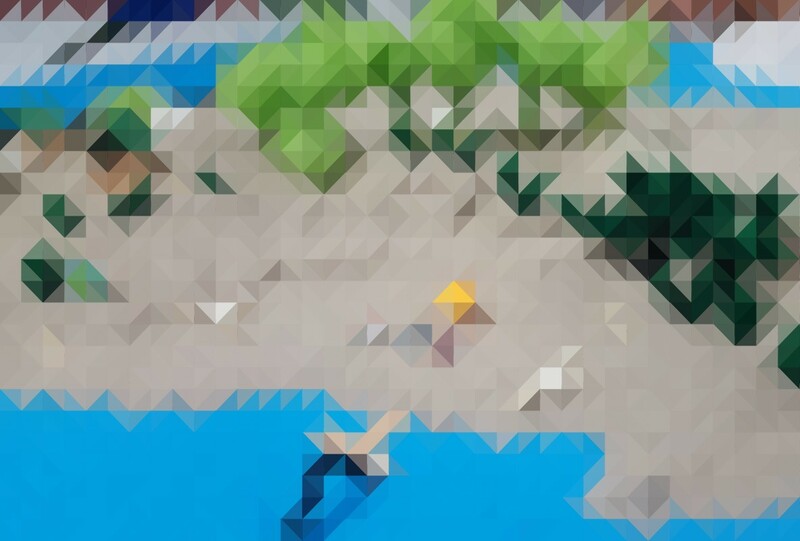 This ranged from beach items to buildings, as well as geographical features like as caves. We then scaled our models up into 3D using kinetic sand. Once completed, Rikard photographed the 3D model from lots of different angles. 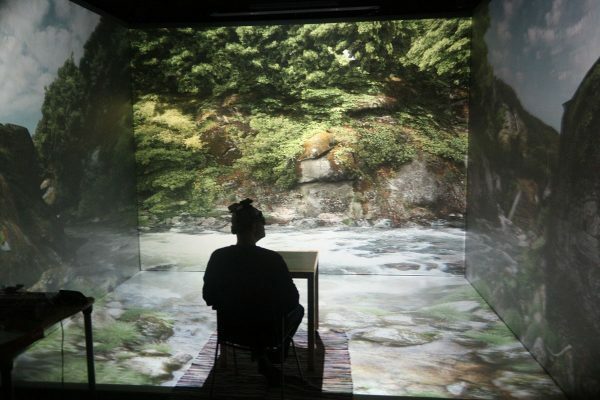 His next step is to piece these images together to build a photogrammetric version for VR – so he will effectively be able to place himself in the model to see what it looks like for ‘real’. This will allow him to see which changes work best, and thus which changes should be made to the VR model. Near the end of the week, I spent some time with Carita Håkansson to develop my qualitative research skills. Carita helped me create an analysis strategy for the interview data from my lab-based study, and we also worked together on a draft plan for my upcoming feasibility study. As a novice qualitative researcher, one thing I found especially useful was to work through the same transcript independently, and then compare our codes afterwards. This really helped me develop confidence and a practical understanding of a new technique. Overall, we had a really productive and enjoyable week of collaboration. I feel really privileged to be working across borders, with a great team who have such a range of skills and knowledge to share. And in the evenings we were able to explore the lovely city of Lund. Our partnership will be releasing its research findings shortly, so stay tuned for more soon. An ivy-covered building in Lund.